Stamp Out Hunger Food Drive! 8:30 AM START: Boone and Crockett Club FINISH: Caras Pavilion. 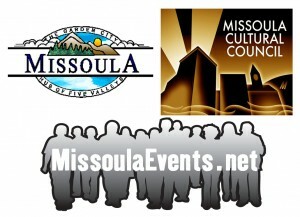 MissoulaEvents.net, ARTS Missoula and the City of Missoula have teamed up to bring you this new page. The purpose of this page is to list all annual events in one place. We hope that organizations/businesses will list their events here a year in advance. This way when new events are being planned they can check this page to see what else is going on in town. By working together we can help make sure that all our great annual events are not competing against each other. If you have any questions please contact us throught the Contact Page.